Arroyo, Stephen. 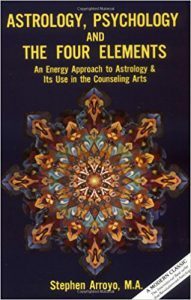 Astrology, Psychology and the Four Element: An Energy Approach to Astrology and Its Use in the Counseling Arts.Sebastopol, CA: CRCS Publications, 1975. A useful description of the four elements and the twelve signs.